KHHI brings this badge as one of the finest collection and creation of "Gurkha Items"..
KHHI brings this badge as one of the finest collection and creation of “Gurkha Items”. 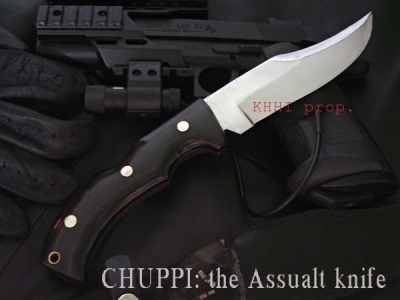 The cross kukri symbol has been a unique and distinct Gurkha feature and icon since its origin centuries back. The famous Gurkha cross insignia symbolizes the legendary Gurkhas. Furthermore, the silver circle circling the kukri symbol has been made to adorn the badge; it symbolizes harmony with the décor of paddy plant. 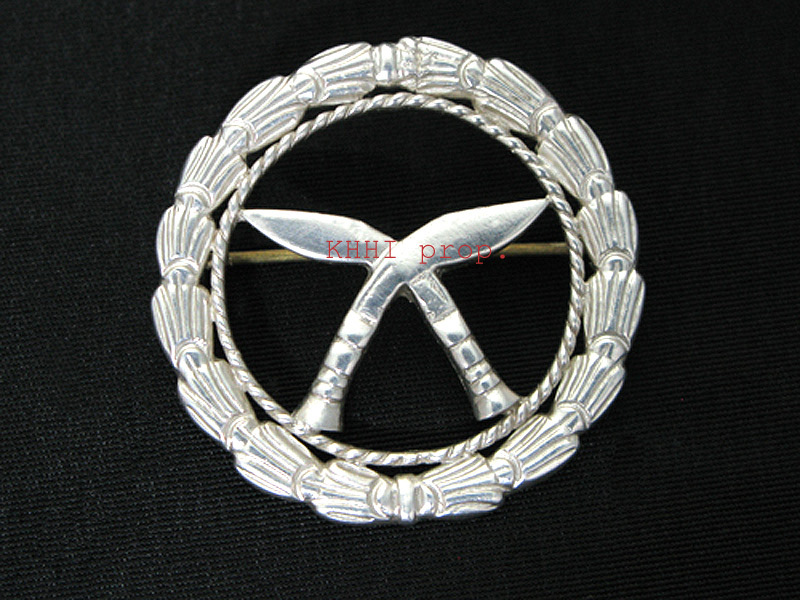 Silver Cross kukri badge is made of silver with minimum quantity of white metal used for hardness and durability. It is beautiful handcrafted item made to showcase the honor, responsibility and image of the brave and famous Gurkhas. It can be worn as a cap badge, fashion trend on tie, coat and or dresses. The badge looks good on any formal wears.